What changes have been adopted applicable to the wind energy industry? The Act includes several significant changes relating to tax credits, including the production tax credit and the investment tax credit. The wind industry had lobbied for, at a minimum, an extension of the then deadline (December 31, 2012) to place a turbine in service and have that turbine qualify for the production tax credit. The Act not only extends the deadline for both production tax credits and investment tax credits, but also replaces the "placed in service" concept in the statute with a "beginning of construction" requirement. Given the lead time required to develop a wind facility, the industry had argued that a simple one-year extension of the placed in service deadline would not sufficiently encourage investment, especially given that many in the industry had adopted a wait-and-see approach to new construction as the pending deadline approached. Under the statute as modified, an otherwise qualifying wind facility will be eligible for the production tax credit or, if the taxpayer elects, the investment tax credit if construction of the facility began prior to January 1, 2014, without regard to the placed in service date. Were other types of alternative energy facilities affected? Several. While only wind facilities faced a placed-in-service deadline of December 31, 2012 to be eligible for production tax credits and investment tax credits, several other types of renewable energy facilities, including electric generating facilities that use closed and open-loop biomass, geothermal deposits, landfill gas, municipal trash, hydropower and marine and hydrokinetic energy, faced a placed-in-service deadline of December 31, 2013. For these types of facilities, the Act replaces the “placed in service” concept with the “beginning of construction” concept, extending the production tax credit and investment tax credit to these facilities even if placed in service after 2013, so long as construction began prior to January 1, 2014. The solar industry has not had the benefit of the production tax credit since 2006. Solar energy has remained viable supported by the availability of the investment tax credit and, in recent years, the Treasury cash grant program. Congress was simply not faced with the same industry concerns from the solar industry as it faced from the wind industry. Solar projects remain eligible for an investment tax credit or a Treasury cash grant if placed in service prior to January 1, 2017 although, in the case of a Treasury cash grant, construction of the project must have commenced between 2009 and 2011. Were there other legislative changes that affect alternative energy projects or investments? The Act extends the availability of bonus depreciation to qualifying property that is placed in service prior to January 1, 2014. Unlike the extensions of the production tax credit and the investment tax credit, the extension of bonus depreciation is not keyed to commencement of construction. This is still, however, a signficant benefit to projects that will be placed in service in 2013. Of more narrow application, the Act provides an additional benefit for renewable energy facilities, and other property, located on Indian reservations and placed in service prior to January 1, 2014. The cost of such property can be depreciated over even shorter recovery periods than normal MACRS periods. This special rule had expired for property placed in service after 2011, but the Act, in addition to extending the shorter recovery periods to property placed in service in 2013, retroactively applies to qualified property placed in service in 2012. One item that will continue to impact renewable energy projects that are eligible for Section 1603 Treasury Cash Grants, including those projects that have been recently completed, is the possibility of “sequestration” as a result of a failure of Congress to reach mandated deficit reduction levels. The Office of Management and Budget had suggested that Section 1603 Grants would be subject to a 7.6% reduction if sequestration applied. Unfortunately, the Act addresses this issue only by delaying a sequestration order, if required, until March of this year. Thus, Congress has more time to work out a potential budget deal and avoid mandatory sequestration. What impact will these changes have on the various industries? Clearly, those wind developers who have held back developing new projects for fear that they would not be profitable or could not be financed without a production tax credit or investment tax credit can now go forward. There remain uncertainties as to what will satisfy the commence construction requirement, particularly for wind facilities where the IRS has historically taken the view that each standalone wind turbine generator is a separate asset. In light of the urgency of having certainty on this question in time to be meaningful, we would hope that the IRS will act quickly to publish guidance. Is there a large backlog of projects that are now ready to break ground based on the new legislation? I really don’t have an overview of the entire market, but we do know that there are developers with sites, both onshore and offshore, that they would like to develop and for whom the Act will provide welcome relief. How likely is it that the rules applicable to real estate investment trusts (REITs) or master limited partnerships (MLPs) will be relaxed to permit investments in alternative energy facilities? Although various industry groups have been lobbying Congress to relax the investment rules for REITs and MLPs, I fear that with the budget issues we are now facing, and expressed Congressional concern with an ever-shrinking corporate tax base, that changes to these rules in the near future is unlikely. Is there other legislation due to be ruled on in the near future that will affect the alternative energy industry? Certainly, the most pressing matter remaining is addressing sequestration if a budget deal is not reached. Congress now has until March to approve a budget that would avoid sequestration. Are you generally optimistic about the future of the industry or do you feel that this is to be only a one year bubble that will fizzle with the current political atmosphere? 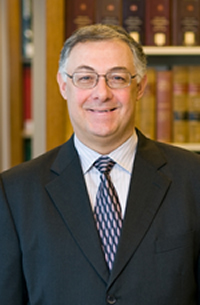 Mark Regante is a partner in the New York office of Milbank, Tweed, Hadley & McCloy and a member of the firm's Tax Group. A partner since 1987, Mr. Regante’s practice is devoted primarily to the tax aspects of asset financings, including leasing, project finance, securitization transactions and municipal finance transactions. He works closely with Milbank’s Space and Transportation Finance Department and its Project Finance Department and regularly represents major financial institutions, project developers, underwriters, airlines, aircraft leasing companies and other parties in public and private offerings of debt and equity securities, partnership interests, and other tax-advantaged financing transactions. Most recently, he has represented a major developer of solar energy facilities in one of the first transactions to receive a loan guaranty from the Department of Energy under its innovative technologies program and has represented two leading financial institutions in one of the first leveraged leases of a wind energy facility. He has been recognized as one of the leading lawyers in the areas of asset finance and taxation by Chambers USA and New York Super Lawyers. Mr. Regante has been a frequent speaker at conferences on renewable energy and asset finance techniques and has written a number of recent articles on those subjects. He is a member of the New York State Bar Association, the Association of the Bar of the City of New York, the International Bar Association and the National Association of Bond Lawyers.